Elite Blog Academy 4.0 – 12 FREE Resources You Can Download Right Now! Elite Blog Academy is one of the best blogging courses that I have ever taken - and believe me, I have been a student of many. Ruth Soukup, the founder, started out as a lifestyle blogger and developed Elite Blog Academy share her knowledge and to teach others how to succeed at blogging. Here's a secret: This year the entire course has been revamped and will be released as Elite Blog Academy 4.0. The good news is that you don't have to wait until the doors open to get in on the goodness. Ruth offers some amazing blogging freebies all year round that you can use to grow your blog. Even though I am already a student in Elite Blog Academy, I always get the freebies as well - because they are THAT useful. Here are twelve - yes TWELVE - that are available right now. I know that's a lot, so feel free to download all of them or only the ones that are most relevant to you. While great content is the reason that your readers come to your blog - it just isn't enough these days. You have to work hard at getting the word out as well. The Essential Blog Promotion Checklist is your shortcut to making sure that you share your posts everywhere that you possibly can. If your blog is to be your business, you need to create a brand for your blog that people will recognize. It may seem easy or even like common sense - but the truth is that it's not. There are so many choices and directions to go in that your branding can lost and you end up sending a mixed message. The Beginner's Guide to Branding Your Blog will keep you on track when you start to wander. Behind every successful self-hosted WordPress Blog is a passel of reliable WordPress plugins. These workhorses make a blog run like a well-oiled machine. But one bad plugin can create havoc and even make your site come crashing down. So, it's good to have a list of proven, tried and true plugins that you know big bloggers use. Download this Elite Blog Academy freebie - 20 Free (or almost free) WordPress Plugins that have the EBA stamp of approval. I'll be the first to admit that setting up a self hosted WordPress blog is not as easy as it seems. There is a learning curve. But it is, hands down, one of the best platforms for blogging. If you are a WordPress beginner then download the free guide - How to Set Up a Self Hosted WordPress Blog from Elite Blog Academy and learn from the experts. It used to be that I did almost all of my blogging on my computer. But times have changed and I now use my phone for many aspects of my blog. This is a great list of mobile apps that every blogger needs. 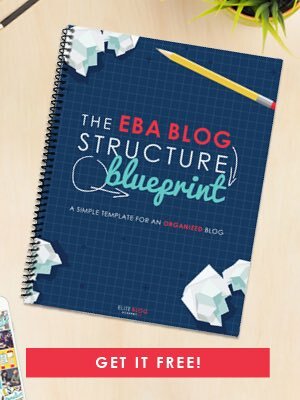 This list of 120 Awesome Blog Post Ideas is one of my favorite EBA freebies. Coming up with great content ideas is a daily struggle for me. So, I keep a printout of this list (sometime I just go old school) right next to my computer for when I need a dose of blogging inspiration. Use the Secret Blueprint to Blogging Success to develop your own successful blogging plan. The secret to successful blogging is to learn from someone who has been there and done that. Ruth has created her own successful lifestyle blog - so when she offers her secrets, I listen. Who doesn't have bad blogging habits, right? 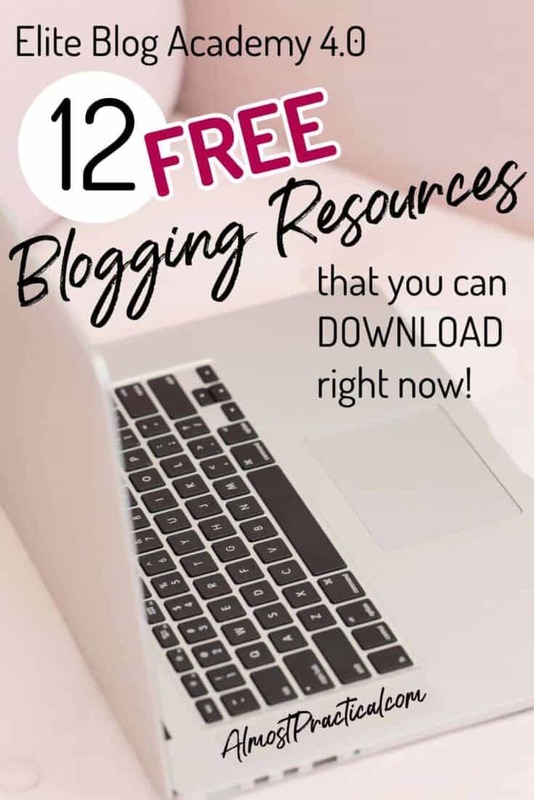 Download this free resource to help you identify the habits that are getting in the way of your blogging success. I can't even tell you how many bad blogging habits I have. I think we all do. This free helps you recognize your own self-sabotaging behaviors and gives you guidance on how to get past those obstacles. The New Blogger's Guide To Guest Posting from Elite Blog Academy will show you how to get your articles featured on other reputable blogs. Guest posting is a great way to gain exposure for you blog. It is something that I don't do often enough. You can also use guest posting to feature other blogger's on your own site. This free blogging guide gives you tips on how to do it right. 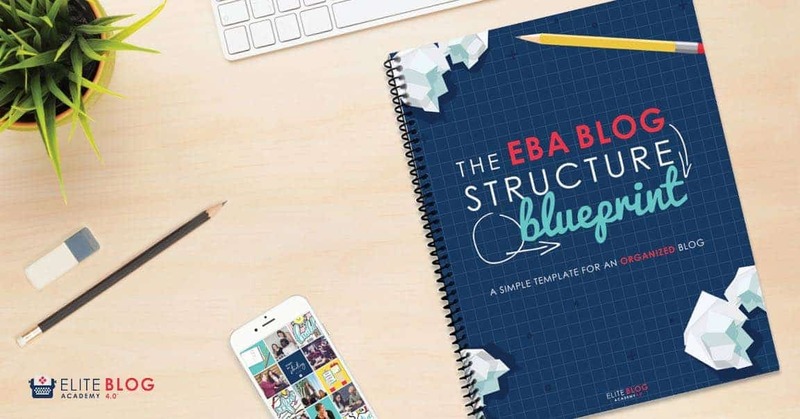 The Blog Structure Blueprint is another one of my favorite Elite Blog Academy Freebies. As someone who is kinda, sorta, completely obsessed with the concept of getting organized - this one is right up my alley. When you blog about a variety of topics it is really hard to organize your blog in a way that makes sense to your readers. This blueprint helps you with that. This free resource helps you make the most of a viral blog post. A viral blog post may seem like a good thing - until it actually happens to you. When your traffic spikes, you are usually not prepared. First, you may push the limits of your blog hosting plan and your site could go down. Second, to ride the blog traffic wave - there are things that you can do to your post to increase your revenue and also keep your new visitors on your website. This list can be your life saver. Want to make money blogging? Yes you do. Download this roadmap for boosting your blogging income. If you don't make money blogging, then you have a hobby not a business. Use these ideas to boost your income from your blog. Elite Blog Academy is a fantastic blogging course and is something that you should explore. Regardless of whether you enroll, take advantage of value packed blogging freebies that they offer. You will learn a lot and also improve your blog. « Is Cricut Access Worth It?